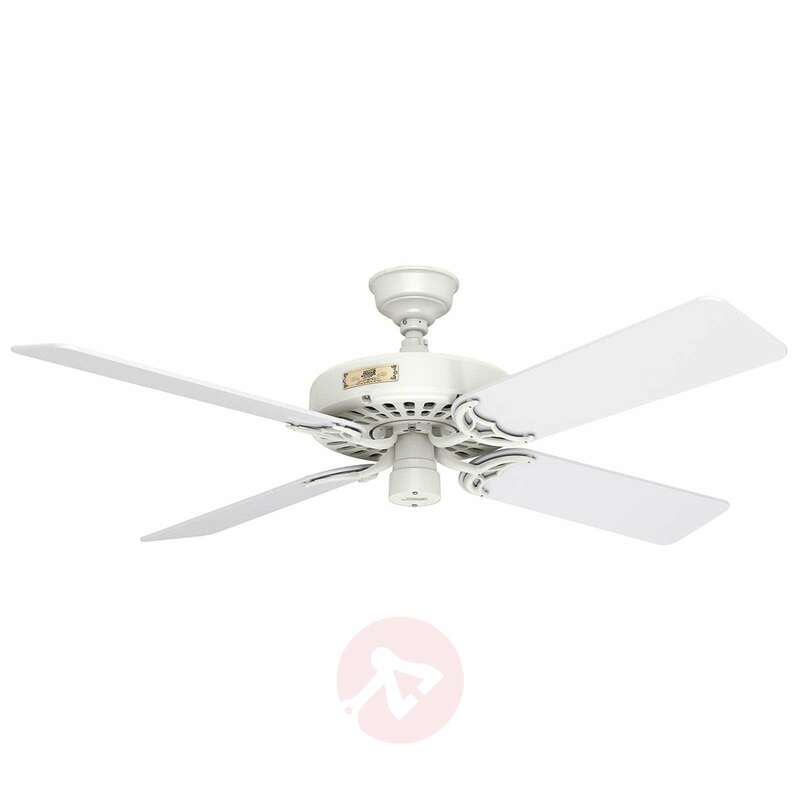 Since John and James Hunter presented their first ceiling fan to the world in 1886, the traditional, American company has successfully designed and produced a number of different models right up to the present day. But even though many new innovations have been added, the success of one model is unbroken to this day. This model has been unchanged since the 1930s. Hunter Original has a self-cooling, cast iron motor which is stored in a permanent oil bath, is dynamically balanced and runs very quietly in spite of its bulk. For the initial installation, the oil is included. For subsequent refills, the oil can be purchased as an accessory. Five wooden blades are included and can either be installed as four or as five blades, depending on your requirements. Forward and reverse modes included. A sliding switch on the ceiling fan itself can be used to conveniently switch between the summer and the winter mode. The fan is controlled using a pull chain. A total of three different speed levels can be set. It can optionally be converted to a control system with a remote control or a wall switch. Suitable models can be purchased as accessories. The Hunter Original ceiling fan is easy to install and can also be installed on sloped ceilings. 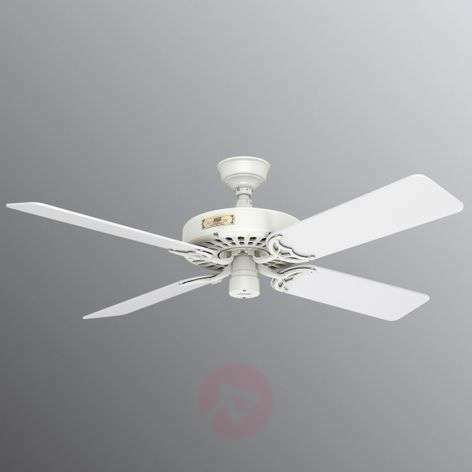 The ceiling fan Hunter Original is also suitable for sheltered outdoor areas, as it is moisture-resistant. Due to its solid construction, the ceiling fan Hunter Original has a weight of just under 20 kg.